A small RTS game set in the futuristic world with spaceships. 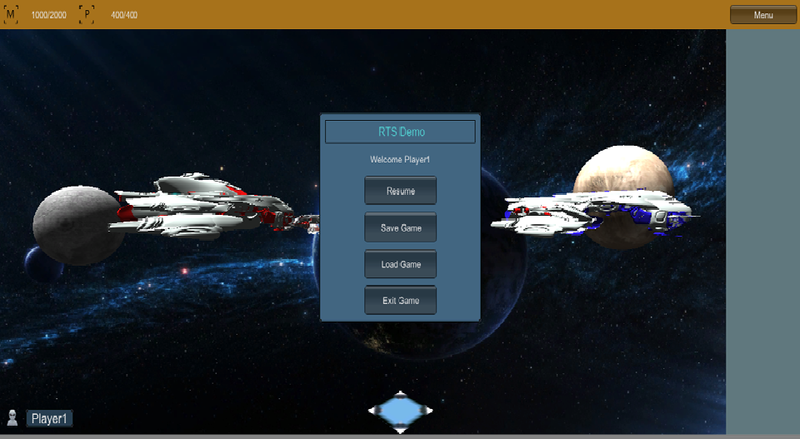 The player has to create a civilization which includes different types of space ships. They have to create an army of attacking ships and destroy the other civilization. They can collect different types of resources from the heavenly bodies like planets, stars etc. and deposit it in the mother ship. Further they can create new space ships using those resources. Lead Engineer: Laid down the Project architecture. Worked as a lead engineer on this project for about a year. Core Game Idea: The core game idea was suggested by me. AI: An attempt was made to make the AI adaptive, so that it changes its difficulty depending on the player's experience. Unit Health System: Represented using a horizotal bar on the top of that unit. Resource collection: Resource collected was represented using a vertical bar on the side of the unit collecting the resources. UI Art: Worked on the UI Art (logos and icons).